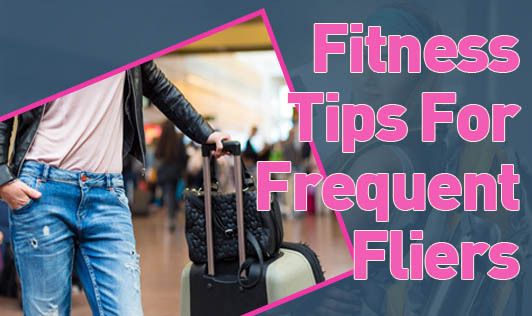 If you are one of those people who live out of a suitcase and are wondering if it's possible to stay fit while you travel most days of the month, the answer is- Yes. Fitness is also about eating right. When you are flying frequently, foods available inflight and at airports are not always healthy. Walk up and down the aisle whenever you get an opportunity. Keep moving your feet when seated as this helps in better blood circulation. Keep sipping water to avoid dehydration. Opt for fresh fruit juices rather than tea or coffee. Be careful when lifting your luggage as there could be chances of spraining your back. When you take long flights rest for a few hours before, as you may not get enough rest on board.